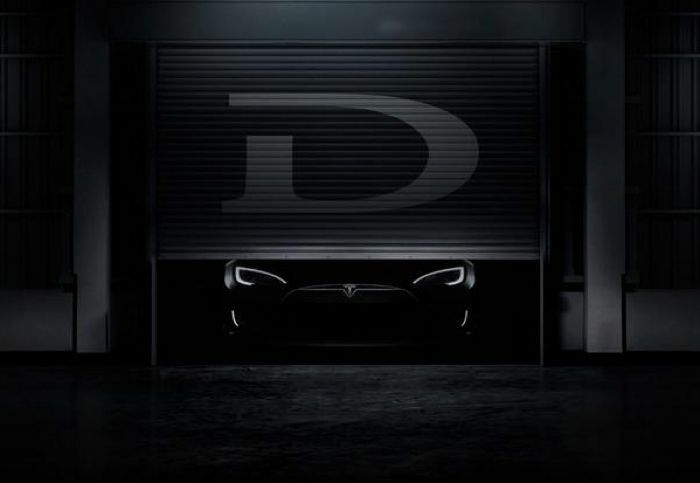 Tesla CEO, Elon Musk has announced on Twitter that the company will unveil ‘The D’ on the 9th of October, he did not give any details on what the company will announce, although he did say that the company will unveil something else at the same time. The tweet was accompanied by the photo above, which shows a Tesla vehicle in a garage, so we suspect Mr Musk could be hinting at a new model called the Tesla D, you can see the tweet from Elon Musk below. There has been quite a bit of speculation on what ‘The D’ could be, possibly a new Tesla roadster, or maybe an all wheel drive version of the Tesla model S with a dual motor. Other speculation has suggested that ‘The D’ stands for Diesel, could Tesla possibly be looking to release some sort of diesel hybrid, who knows. As soon as we get some more details on exactly what ‘The D’ stands for, and whether the company will launch the new Tesla Model D, we will let you guys know.